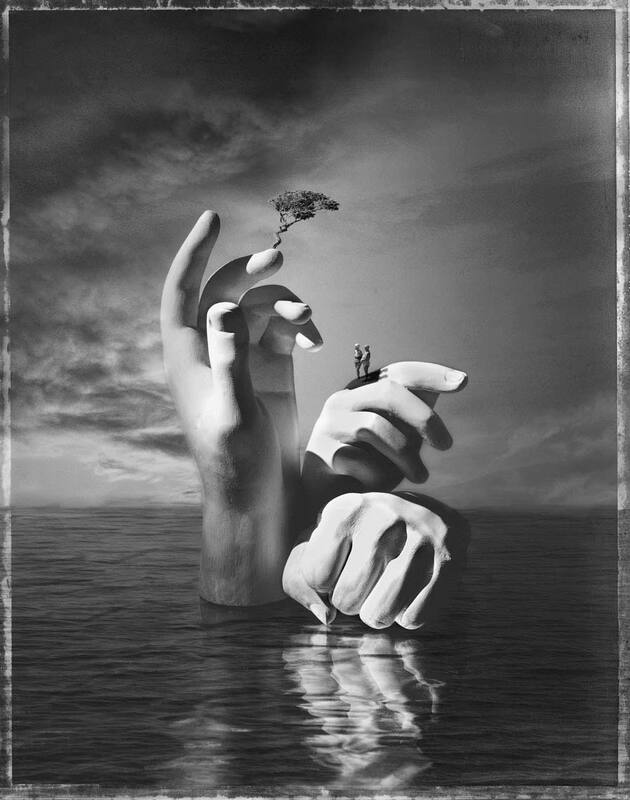 Handy Island by Paul Biddle surrealist artist is a black and white photograph of an island composed of three hands in the ocean. On top of one hand grows a tree and two bathers stand on another giant hand enjoying the sunshine.This was shot in the studio on Polaroid Type 55 film on a 4"x5" camera. The hands are plaster castes. The sky and the tree and the two bathers were added in Photoshop.